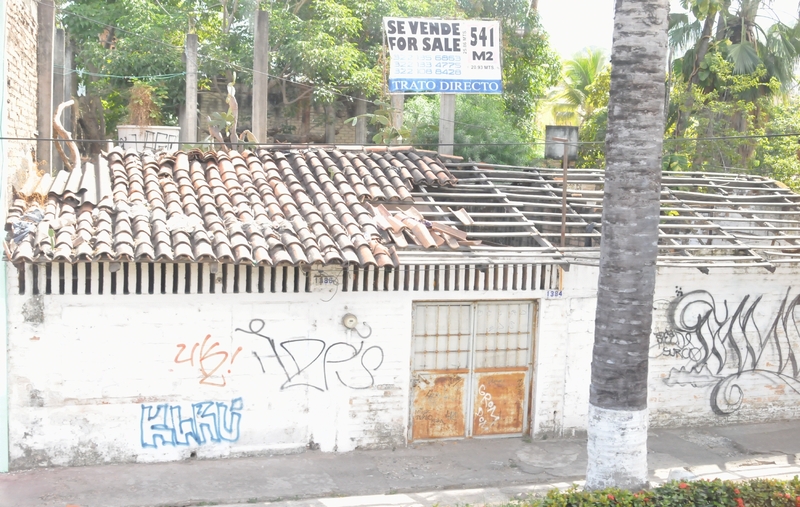 Graffiti decorated the front of a building that was for sale. 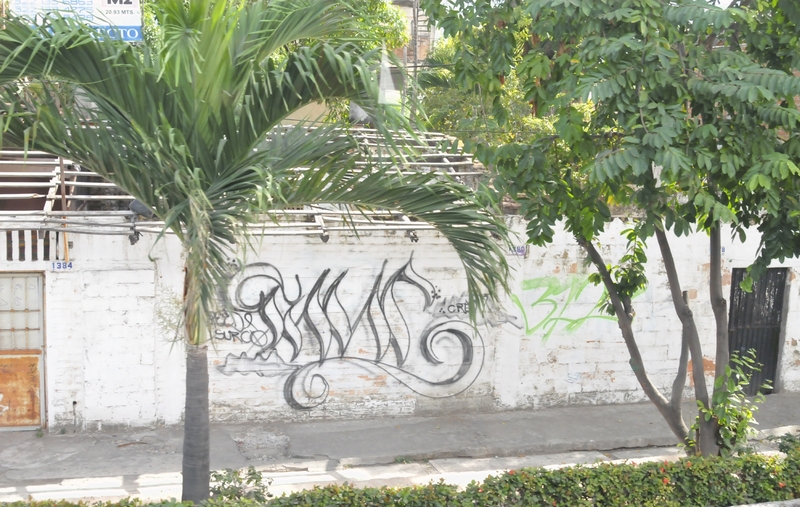 A palm tree framed graffiti lettering on a wall. 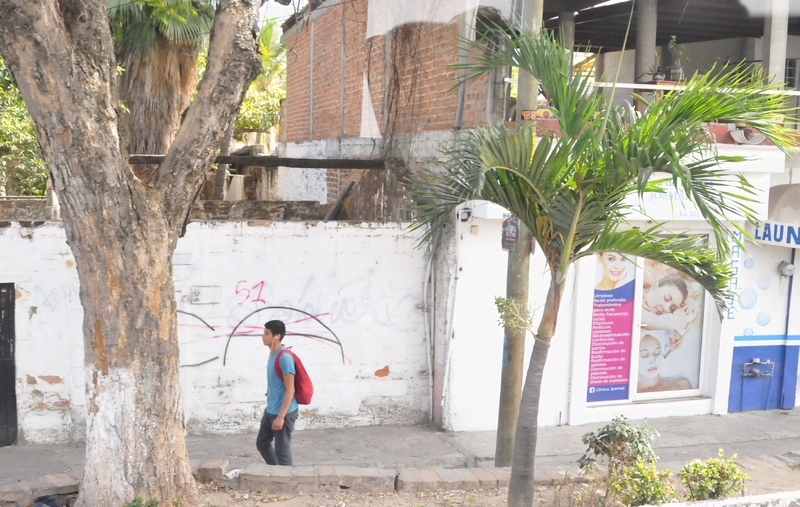 Graffiti on a wall became a hand drawn umbrella over the head of a passing youth. 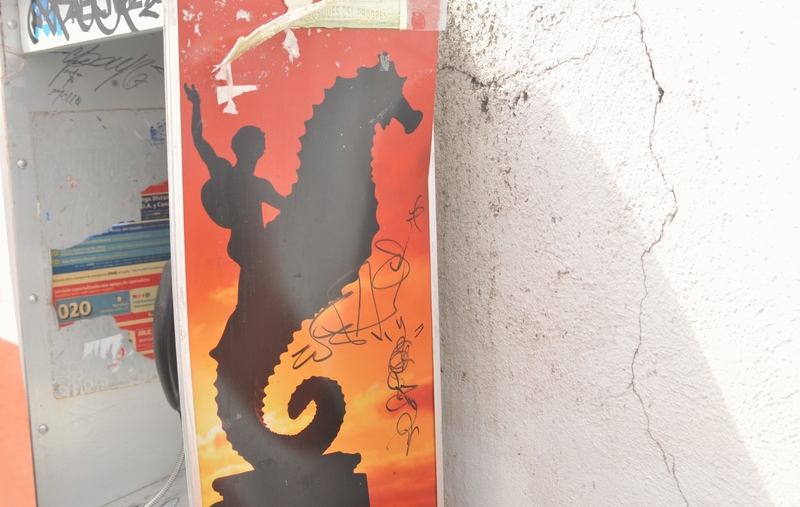 Two scrawls on the face of a poster became graffiti. 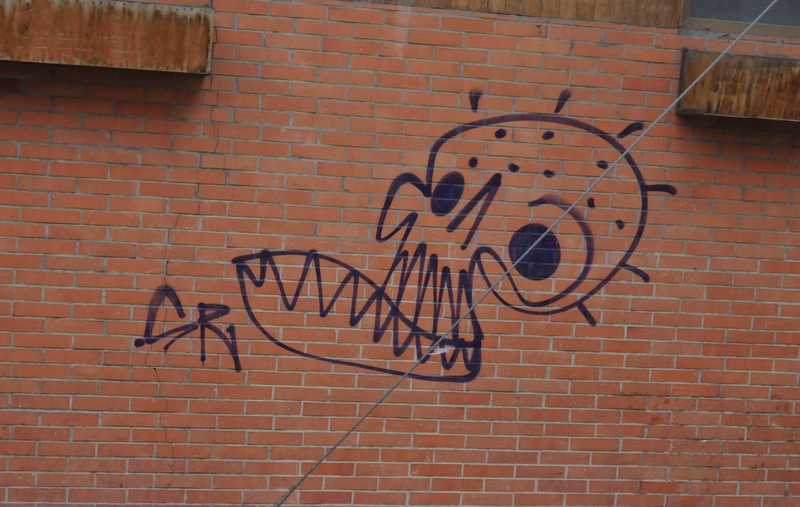 A skull face was drawn on the brick surface of an apartment building. 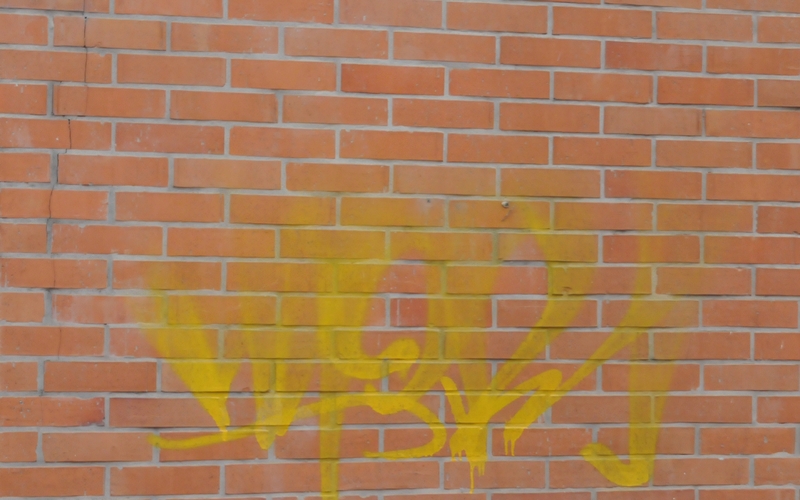 Graffiti drawn using yellow paint defaced a surface of bricks. 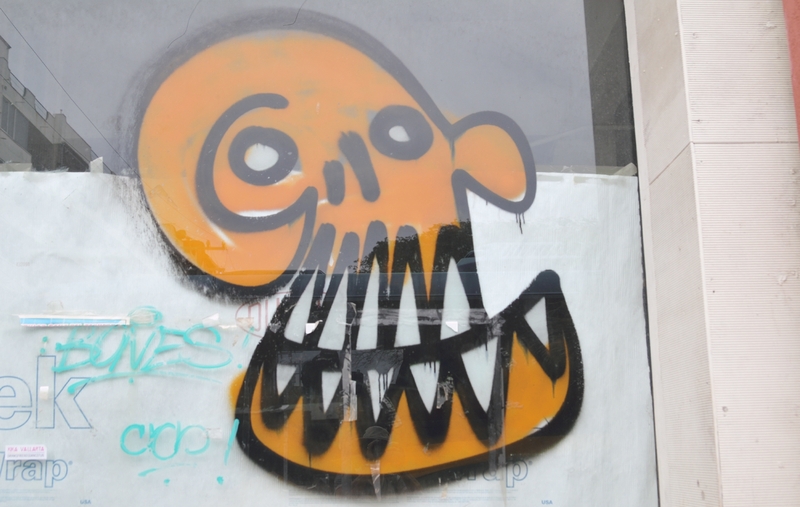 A skull drawn in black and colored in with orange was drawn on the glass of a window. 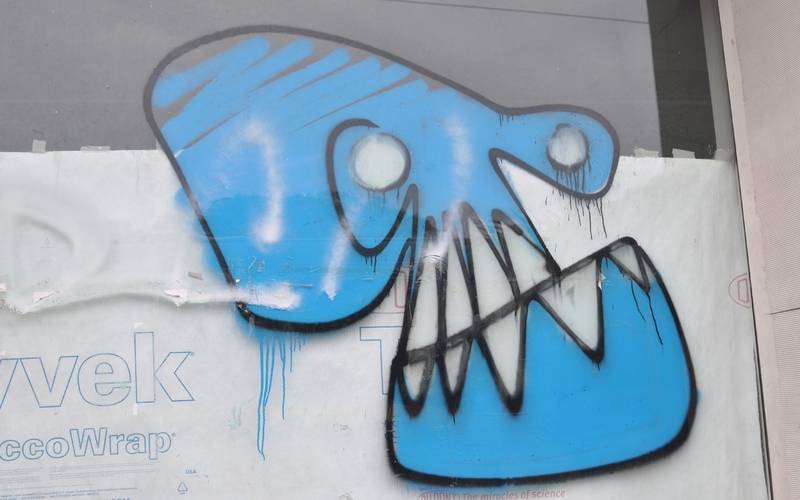 Another skull, this one drawn in black and colored using blue paint, was also drawn on a window.